The essential oil of Sandalwood has been a much popular ingredient in perfumes and cosmetics for over decades. The sweet and smooth wood like fragrance is subtle and masculine. We have prepared our Sandalwood beard oil to provide our customers with an unforgettable beard experience and an evergreen aroma. This rejuvenating beard oil formula makes your hair smoother, less coarse and healthier looking. Sandalwood beard oil is a multipurpose formulation that starts with keeping your hair well-groomed without leaving a greasy effect. The combination of Sandalwood essential oil with Jojoba seed oil prevents any artificial interaction with the skin. Just as our essential oils, our products are safe and chemical free. Sandalwood beard oil is intensely hydrating and reduces any chance of itching. It helps you maintain a clean looking, tangle free beard growth. It is recommended to use the oil on a regular basis for optimum results. What is great about this product is that it is easy to use. Put a small amount of oil on palms, rub it evenly. Take your fingers deep down to the skin and evenly distribute the beard oil on beard and mustache. 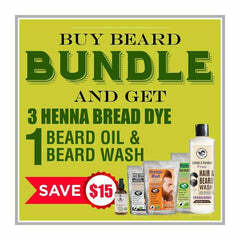 The Henna Guys take pride in introducing a line of naturally extracted essential oils, and a line of share products of these essential oils such as our beard oils. Our beard oils are non-greasy and ultra-light. It is hydrating both in winters and summers. A few drops and a good massage will keep your beard well in shape, all day. It naturally keeps your beard hair soft by keeping the coarse look at bay. A natural blend of carrier and essential oils that put us in the list of top sellers. We work to a high-quality standard, without compromising on the nature of the product. We do not add any harmful chemicals, additives or colorings to our product. We are confident that once you experience the quality of our product you would not seek better.